DuBois ABC Seamless offers top-notch replacement windows for residents of Minneapolis, Minnesota, and throughout the Twin Cities region. 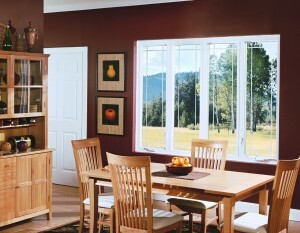 Our windows are constructed using unplasticized PVC, which makes the sashes and frames virtually immune from warping, rotting, rusting, or fading. They come in an amazing array of styles and colors to match your personal taste, and are among the most energy-efficient windows on the market today. What’s more, our replacement windows are designed with a tilt-in feature, making them extraordinarily easy to clean and minimizing the amount of time you’ll need to spend on that thankless chore. Windows that perform extraordinarily well and are easy to keep looking great – that’s the benefit of purchasing products from DuBois ABC Seamless. In fact, we can even offer windows in custom shapes and sizes, meaning we can provide replacement windows that enable you to make a distinctive design statement. Contact DuBois ABC Seamless today to learn more about our extraordinary replacement windows and other exterior remodeling products and services. Discover for yourself why we are the home remodeling contractors of choice for homeowners in Minneapolis, MN, and throughout the Twin Cities region.